There are up to 2.7 million persons with disabilities (PWDs) in the country who are eligible to vote in the 2013 midterm elections, according to Department of Interior and Local Government (DILG) Jesse Robredo. The project is a three year program implemented by the Asia Foundation, with support from the Australian Agency for International Development (AusAID) that aims to increase voting participation of PWDs in the 2013 midterm polls. According to Commission on Elections (Comelec) Rene Sarmiento, there are 345,000 registered PWD voters in the May 2010 automated elections.However, only 53 percent of this figure cast the ballot. “The number of PWDs registered with Comelec highlight that PWDs still find it difficult to register and vote. I agree with Commissioner Sarmiento that there is still a need for more accessible registration and voting precincts, ballots produced in Braille and sign language interpreters for hearing-impaired persons,” said Robredo. Robredo, whose father and two brothers is suffering from hereditary blindness, said he knew the difficulties of enabling PWDs to register and cast their ballots during elections. “It was the community of disabled themselves who tirelessly promote their rights of suffrage. Unless somebody accompanies the PWD voter, they will find it difficult and may fail to exercise their right to vote,” said the DILG chief. According to the Social Weather Stations (SWS) survey of PWDs and Filipino Adults, registered PWD voters but did not vote rose from 14 percent from 2007 to 21 percent in 2010. PWDs of voting age but did not register also increased from 20 percent to 22 percent, the survey showed. SWS found that among those who did not vote in the 2010 elections, 17 percent were ashamed to vote because of their disability, another 17 percent because of mobility problems, 16 percent because they were either sick or bedridden, and 10 percent because nobody would shade or read the ballot for them. “The disability sector has been active in claiming the right to suffrage. PWDs themselves do not think of themselves as disabled but those who view them as the invisible sector and a minority affect how they perceive themselves and their capabilities,” said said Maribel Buenaobra, director of programs at The Asia Foundation. Inclusive development is the achievement of equal rights given to PWDs and all marginalized sectors of society, reiterated Octavia Borthwick, ministry chancellor, Australian Agency for International Development (AusAID). “Inclusive development when it includes PWDs, everyone participates equally and benefits from the process. It is also when the society considers PWDs in the development process in terms of access to education and voting,” said Borthwick. In Naga where he formerly served as mayor, Robredo said that they encouraged PWD participation by giving them a seat at the Sangguniang Bayan table so the local government can better serve them. There are also libraries featuring books in Braille and computer programs that assist PWDs to navigate the web and use software, said Robredo. “LGUs need to look closely and pay attention to the needs of PWDs. Probably more of them will listen more if they know that they will vote,” added Robredo. Under the Magna Carta for Disabled Persons, every LGU must have an office for PWDs and allocate revenues for programs for the sector. “Disability is a human rights issue—why we need wider doorways everywhere and ramps to grant access to our PWDs. There is one more thing PWDs need, the right to vote,” said Sarmiento, who headed the 2010 Comelec special committee for PWD registration and voting. Earlier, Comelec launched special PWD lanes in special registration precincts in malls nationwide. PWDs may be assisted by a family member of legal voting age during the registration. Re-published from Yahoo News Philippines. 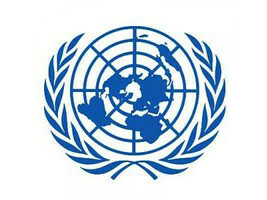 ASP is a member of the Philippine Coalition on UNCRPD. For more information, please call (02) 926-6941 or (02) 929-8447 or email us at autismphils@gmail.com.